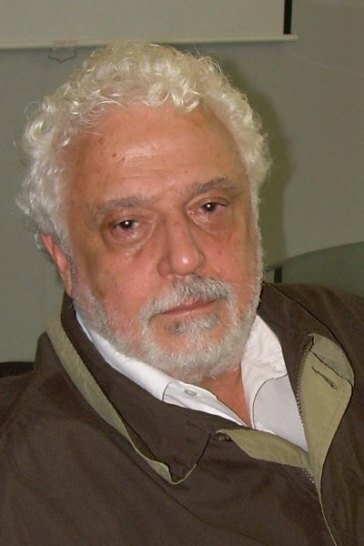 Theotônio dos Santos, one of the main authors of the Latin American Dependency School, has passed away. I had some minimal contact with him, seeing some of his talks as an undergraduate, and then at a few conferences were we could talk a bit more, including after I had published this paper. When I was a student, I might add, I was basically taught that there were two dependency school traditions, and often the Marxist one, in which Theotônio and André Gunder Frank were the key figures, was seen, at my alma mater (the Federal University of Rio de Janeiro) at least, as the lesser one, with the Structuralist school, of Fernando Henrique Cardoso, being the 'good' one. In retrospect, given the political views (and some of the economic views too) that Cardoso came to defend from the late 1980s onwards, with his adherence to Neoliberalism, I must conclude that my teachers might have been wrong. An obituary in Portuguese here. 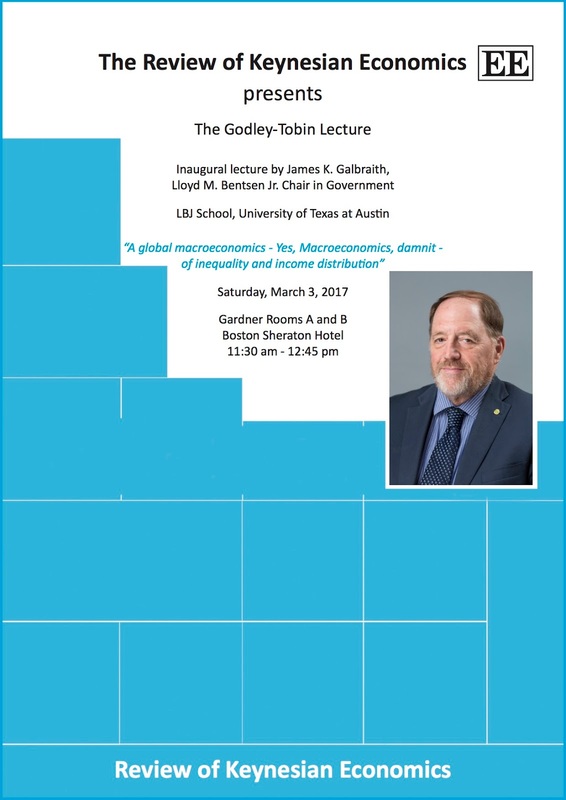 The inaugural Godley – Tobin Memorial Lecture at the Eastern Economic Association meetings in Boston on Saturday March 3, 11.30am – 12.50pm. The lecture pays tribute to both Godley and Tobin's emphasis on being non-hyphenated Keynesians (more on that for a later post). It will be held in Gardner A & B of the Boston Sheraton. If you are attending the EEA meetings, I hope you will attend. Mike Beggs wrote an interesting Review of the book In the Long Run We Are All Dead (which I started, but have not finished yet). Beggs argues that: "Marx lived long enough to declare himself 'not a Marxist.' Keynes was not so lucky. Followers would make the distinction between 'Keynesian economics' and 'the economics of Keynes.' But by then the word had well and truly transcended the man." That's not altogether correct. Dave Colander retells the Abba Lerner story of Keynes' famous presentation at the Fed in 1943, which according to Colander might be the source for the Alan Meltzer (based on Terence Hutchison) argument that Keynes indeed did say "I am not a Keynesian," where Keynes was essentially against deficit spending, and that Evsey Domar, who was next to Lerner, "whispered: 'He ought to read the General Theory'." Leaving aside the fact that the GT, in fact, does not deal with fiscal deficits, but more inscrutably with the socialization of investment, there is a certain amount of truth that Keynes was not always Keynesian, in the simple sense of for fiscal expansion. But that essentially puts an emphasis on Keynes' economics as essentially concerned with economic policy. In his view, Keynesianism is just a name for the mechanism by which liberal capitalism tries to save itself from the contradictions that overwhelm the system in periods of crisis. And he is not wrong that Keynes is resurrected every so often (one can say the same about Minsky, now that most crisis have a financial/bubble component too). My point is that Keynes notion that there is no unique (natural) level of employment around which the system fluctuates, and that it normally oscillates around sub-optimal levels was never actually adopted by the mainstream. What is often resurrected is the mainstream version of Keynesianism. Instead of the perennial persistence of Keynesianism, a more accurate description would be the idea that the Keynesian Revolution was really aborted. In early February, US Secretary of State Rex Tillerson embarked on a Latin America tour aimed at promoting "democratic security". But just before he set off on his trip, he speculated on the possibility of a military coup in Venezuela. "In the history of Venezuela and South American countries, it is often times that the military is the agent of change when things are so bad and the leadership can no longer serve the people," he said at an event at the University of Texas at Austin. Tillerson's comments came six months after US President Donald Trump threatened military action in Venezuela. Full piece published by Al Jazeera here. 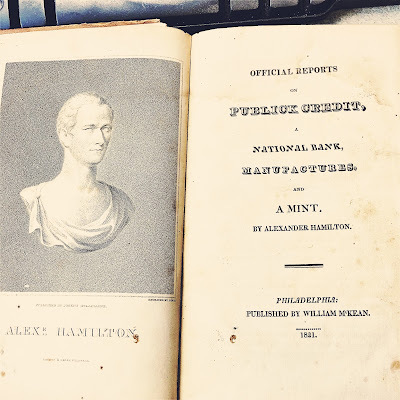 Stephen Cohen* and Brad DeLong, in their highly readable book Concrete Economics: The Hamilton Approach to Economic Growth and Policy (if you haven't, go buy a copy now), argue that “Alexander Hamilton [was a] major economic theorist. His theory of economic development, first set out in his famous Report on Manufactures (1791), not only reshaped America’s economy but was channeled by Frederich List half a century later to play a central role in Germany’s rapid industrialization, and still later became a canonical text in Japan." Further they suggest that: “This Hamiltonian project was contrary to Ricardo’s canons of comparative advantage as well as Smith’s free markets. It was bold. The direction of economic activity was not commanded, but it was not left unguided either." While I generally agree with the main points of the book (my major issues are with the notion that technical change was driven by scarcity of labor, and the need to economize labor along marginalist lines), I would qualify a bit the argument on the break with the Smithian/Ricardian classical political economy (or surplus) approach to economics. Hamilton believed, not unreasonably, that manufactures were more prone to the adoption of machinery, and indicates that manufacturing countries are more opulent than merely agricultural countries. In other words, he seemed to believe that what is produced matters, and that manufacturing would further the division of labor that was at the heart of the wealth of nations. That is why there is some importance in the Cohen and DeLong book emphasis on Hamiltonian trade management, and the willingness to use tariffs and bounties (subsidies). Note that the conventional view among economists increasingly tries to deny that this was central for Hamilton. For example, Douglas Irwin argues that: "Although the report is often associated with protectionist trade policies, Hamilton’s proposed tariffs were quite modest, particularly in light of later experience. This reflected his emphasis on using tariffs to generate fiscal revenue to fund the public debt; indeed, the country’s finances were his top priority, not discouraging imports for the sake of domestic manufacturers." However, the Report itself seems pretty concerned with the differences between agricultural societies and manufacturing ones, arguing that: "nations merely agricultural would not enjoy the same degree of opulence, in proportion to their numbers, as those which united manufactures with agriculture." He cites England and the Cotton Mill developed there as something to be emulated, and that it can only be done with a certain degree of trade management (on free trade versus managed trade see this). 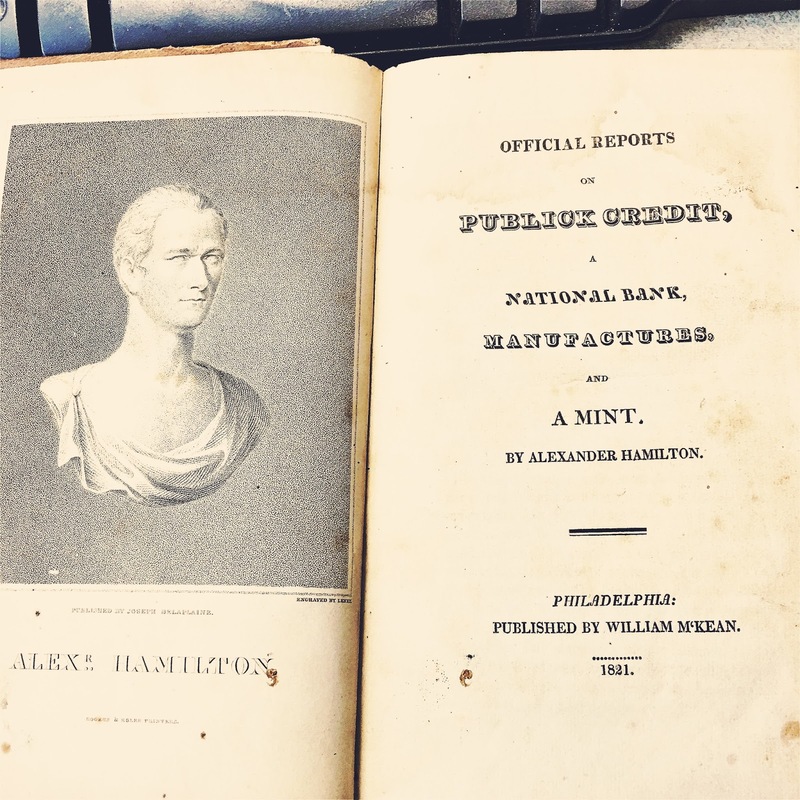 Hamilton is explicit on a strategy that we would call today as import substitution industrialization, and argues that: “The substitution of foreign for domestic manufactures is a transfer to foreign nations of the advantages accruing from the employment of machinery, in the modes in which it is capable of being employed, with most utility and to the greatest extent. The cotton mill invented in England, within the last twenty years, is a signal illustration of the general proposition, which has been just advanced.” Interestingly, he does not cite the use of steam engines, which was still not prevalent, but notes the use of the water wheel, and the extensive use of female and child labor (the latter as a positive development). In this regard, he seems more au courant than Adam Smith, with his pin factory, about what would later be termed the Industrial Revolution. The relevance of the ideas related to managed trade seem to be again on the agenda with the rise of right wing populist governments, in particular here in the United States, and the skepticism about Free Trade and Globalization. * Stephen Cohen was the co-author with John Zysman of a very influential book in the 1980s called Manufacturing matters: the myth of the post-industrial economy which is also still worth reading. What About the New Tax Law? New Event from the Susquehanna Progressives. Drop by if you're around the area. Info below. "As activists we need to understand the history of US tax policies, how they have changed since the 50's and why, the affect on our social fabric and what the new tax bill will mean for the health of our nation (Presentation followed by Q&A)." One of the many unfair criticisms of Keynes' General Theory (GT) is that is badly written or somewhat incomprehensible. Note that Keynes started to write it in 1932, four years into the Depression, and two years after publishing the Treatise, which he probably thought was going to be his Magnus Opus. In other words, by the time he started to write the GT the worst part of the Depression was coming to an end (the UK had abandoned gold in 1931, and the US would start the New Deal the following year). Keynes' policy advice, mostly about the need to abandon gold and promote public works was not based on the GT, which came considerably later. 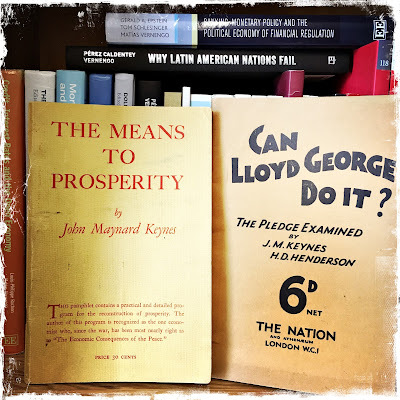 The idea of an employment multiplier, even before Richard Kahn developed the concept, can be found in one of the pamphlets depicted above (Can Lloyd George Do It?). As he said, the book was basically for his fellow economists. More importantly the book marked a theoretical break with neoclassical economics (which he sadly called classical, creating more confusion than needed), one that was NOT necessary to promote public works or expansionary fiscal policy that would come to be associated with Keynesianism (he was advocating that before he reached the main conclusions of the GT). The point of the book was that, even with price and wage flexibility, the economic system did not have a tendency to full employment (that means you must wait for chapter 19, when wage flexibility is introduced, to get his main argument). The fact that the Keynesian Revolution led to a reinterpretation of Keynes on the basis of rigid wages (or interest rates) or some other kind of imperfection in more modern versions of mainstream Keynesianism, suggests that to some extent Keynes the pamphleteer was more effective than the theorist, which is not altogether surprising, since Keynes was indeed very good at writing for greater audiences, and became internationally known as a result of his pamphlet on the Treaty of Versailles. Arguably someone may put How to Pay for the War in the list of important pamphlets. He basically wanted to finance war with taxes, and was concerned with demand pull inflation. 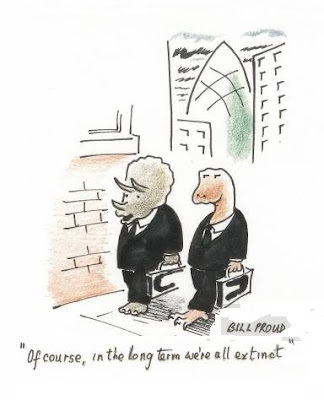 "... today we are back at full employment, or perhaps beyond it, ad economic growth kooks solid. The economy doesn't need fiscal stimulus." Blinder one must note was strongly for hiking rates in the mid to late 1990s, when he was the vice chairperson at the Fed, exactly for the same reasons (see this old piece in The American Prospect). So at least he is coherent. We cannot grow too fast, since that would cause inflation. And we have a tendency to be at full employment (note that a few years back almost everybody said full employment, the natural rate, was about 6%, not the 4% or so we have). But if he is coherent, he has also been almost always wrong. And we are not at full employment. The employment-population ratio (seen below) has finally started to recover in the last three years, but it is still well below the peak before the recession, and the participation rate (not shown but available here) has been stagnant. That means that too many people remain discouraged about the situation in the labor market, and that when we look at broader measures of unemployment that look at those marginally attached to the labor market the level of unemployment is closer to 8% (see here). And let's not forget that the last two decades saw an impressive decline in manufacturing jobs that reduced the availability of good jobs. So the issue is not just the number of jobs, but the quality of those. It should NOT be a surprise that Trump won in some Rust Belt states. Dems, and their economists (like Blinder), should be more sensible about the need to create more jobs, and particularly good jobs if they want to regain the White House and Congress. I would suggest that austerity is a terrible strategy. This is what you should expect from the Progressive-Neoliberal branch of the party, as it was aptly called by Nancy Fraser. "This paper investigates the role of demand in the productive investment evolution in the Brazilian economy. First, it assesses the long-run relationship between investment rate and GDP growth, taking annual data since 1962 until 2015. We then construct a “Final Demand” index and estimate its impact on productive investment growth rate, taking quarterly data since 1996q1 until 2017q2, highlighting a shift in the aftermath of the 2008 world economic crisis. The results support two hypotheses of the Supermultiplier model of Freitas and Serrano (2015) and Serrano, Freitas and Behring (2017) for the Brazilian economy: 1) non-capacity creating expenditures lead productive investment; 2) there is a very slow adjustment of the investment rate to demand growth, as described by the flexible accelerator process."